Colm is developing a strong practice across all of Chambers' core areas. He specialises in Employment, Commercial Litigation, Professional Negligence, Insurance & Reinsurance, Tax and Personal Injury work. Before commencing pupillage, Colm worked as a legal assistant/researcher for one of the leading construction sets. - (as junior to Jolyon Maugham QC) for the taxpayer in its appeal to the FTT concerning the valuation and apportionment of goodwill in the purchase of a partnership and a limited company. Colm has advised both HMRC and taxpayers on a variety of issues, including employment status, IR35, loan relationships, SDLT, etc. Colm has experience working as a part of a team of counsel, or unled. He is currently instructed as sole counsel in several FTT appeals, appearing for the taxpayer. He has experience of resisting HMRC's enforcement and bankruptcy processes on behalf of taxpayers. Kennedy v HMRC - instructed as junior to Akash Nawbatt QC and Christopher Stone on a multi-million pound residence dispute which was also concerned with the correct application of the UK-Spain DTA. The taxpayer withdrew his appeal on the fourth day of a two week hearing. Mackay v HMRC - instructed as junior to Christopher Stone on the UT appeal and parallel judicial review of the FTT's finding that the taxpayer was ordinarily resident in the UK ( UKFTT 441 (TC)). Hough v HMRC - currently instructed as junior to Christopher Stone on an FTT residence and ordinary residence appeal and a parallel judicial review concerning IR20. Peck v HMRC  UKFTT 770 - instructed as junior to Christopher Stone on an FTT residence appeal. Colm has advised, along with Marika Lemos, a trade union on the employment status of its members under a variety of different contracts, as well as on the enforceability of tax indemnities. Colm provided assistance to the taxpayers in Paya v HMRC; a two week hearing concerning IR35 and the employment status of three BBC presenters. Colm has also advised, along with Marika Lemos, on the interaction between IR35 and the Social Security Contributions (Categorisation of Earners) Regulations 1978. Colm also has experience of employment status issues in the context of employment tribunal litigation. Colm is quickly developing a strong employment practice covering unfair dismissal, wrongful dismissal, discrimination and unlawful deductions from wages. Recent instructions have included a three-day final hearing concerning unfair dismissal and discrimination on the grounds of sexuality and nationality. Colm has written talks on limb (b) worker status and discrimination on the grounds of religion. Recently, Colm was instructed to draft pleadings and represent the network arm of a national utility in proceedings brought by a construction contractor, raising issues of contractual interpretation and misrepresentation. This built on his experience as a legal researcher in a leading construction set prior to commencing pupillage. Colm has been instructed in a variety of insolvency matters including personal bankruptcy and company administration. As a pupil to Richard Harrison, Colm worked on a multi-million pound professional negligence claim brought against accountants. He also drafted advices on the operation of the Third Parties (Rights Against Insurers) Acts 1930 and 2010, and pleadings in coverage disputes with insurers in the context of mesothelioma claims. Colm accepts instructions in all areas of commercial work. As a pupil to Richard Harrison, Colm was exposed to a range of insurance and re-insurance work. He drafted advices on the operation of the Third Parties (Rights Against Insurers) Acts 1930 and 2010, and pleadings in coverage disputes with insurers in the context of mesothelioma claims. Colm was also the finalist and best speaker in the 7KBW-Clyde&Co Insurance Law Moot, judged by Eder J. As a pupil to Richard Harrison, Colm experienced a range of professional negligence disputes. He assisted and carried out extensive research in a multi-million pound professional negligence claim against accountants, including research on the judgments denominated in foreign currencies and the applicability of recent professional negligence authorities. Colm is regularly instructed in County Court RTA and credit hire claims, and infant approval hearings. 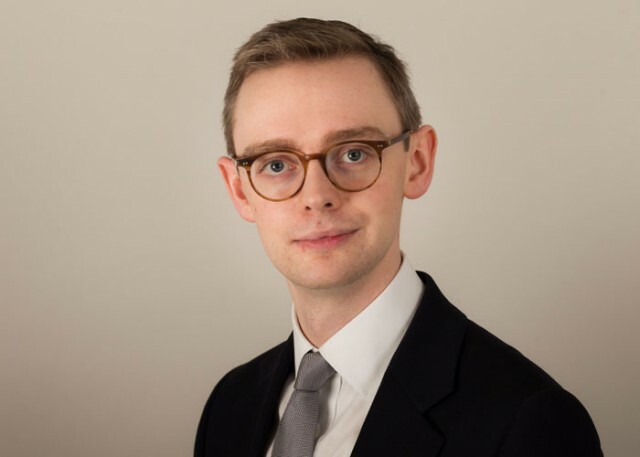 During pupillage, Colm gained experience of drafting pleadings in clinical negligence claims, including claims brought under the Fatal Accidents Act and Law Reform (Miscellaneous Provisions Act). Colm also assisted in providing research to Rob Weir QC on the correct measure of damages and issues of economic loss in the upcoming Supreme Court appeal in Greenway v Johnson Matthey plc  EWCA Civ 408.